Input voltage range +11V to +15V dc. Maximum input voltage surge <5 seconds is 18V. Input current 400mA at full load and 125mA at zero load (at 12V). Control of the output 0 to +5V for 0 to 100% rated output voltage, input Z = 1M. Maximum slew rate : 50V/mS typ. Fixed reference output +5V ±0.05%. Maximum current: 3mA. Temperature coefficient: 50ppm / °C. Variable reference output 0 to +5V, multi-turn potentiometer. 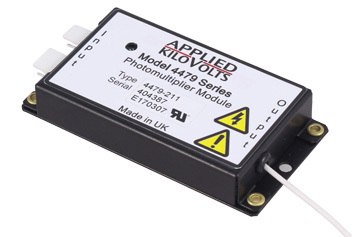 Current & Voltage monitor 0 to +5V for zero to 100% of output current / voltage, accuracy ±1%. Source Z = 10K. Input voltage range +22V to +28V dc. Maximum input voltage surge <5 seconds is 32V. Input current 250mA at full load and 100mA at zero load (at 24V). Control of the output 0 to +10V for 0 to 100% rated output voltage, input Z = 1M. Maximum slew rate : 50V/mS typ. Fixed reference output +10V ±0.05%. Maximum current: 3mA. Temperature coefficient: 50ppm / °C. Variable reference output 0 to +10V, multi-turn potentiometer. Current & Voltage monitor 0 to +10V for zero to 100% of output current / voltage, accuracy ±1%. Source Z = 10K. <20ppm over input voltage range. <20ppm for zero to full load. <15ppm in any 15 minute period, <50ppm in any 8 hour period. <50ppm / °C at maximum rated output. Proof against output short circuit (current limited to 110% of max ). Input protected against polarity reversal. 95.2 x 49.0 x 15.0 mm (3.75” x 1.94” x 0.6”). 2 off mounting holes on 88.8mm (3.5”)centres. 2 off (4 way & 5 way) 0.1” pitch (Molex) connectors. 2 off sets of 4 off 0.1” pitch pins, see drawing below for positions. Fly lead, RG178B/U cable 0.5m (19”) long also available with RG58 or other types to special order.